Nicely done implementing the beams; it definitely makes ascertaining the position of a given block a breeze. I am curious to learn how you achieved the 3D depth. Is the game truly 3D, or 2D “pretending” to be 3D? 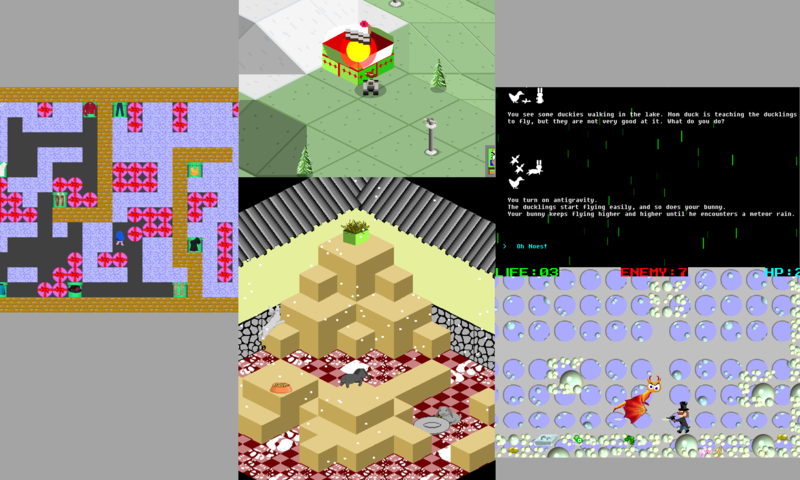 The image you see on the screen is a composite of 2D bitmaps, but the game world is simulated in a 3D matrix, and all the bunnies have an x, y and z coordinate. So it’s mostly 2D but there are some 3D aspects. Aren’t all games projected on a 2D screen in the end? Previous PostPrevious Usagi No Yuki: What’s in a name?